1. Where are you from?… New Jersey. 2. No—I mean where are you really from—I notice a slight accent—I mean where were you born? Answer: Germany. 3. When did you come here?—1951. How old were you?—12 . 4. If the person is Jewish and is not sure if I am Jewish, what usually follows is, "Ohh," with a hesitation and a slight moving away. They become leery. I have come to recognize to understand this distancing. In the Jewish community, Germany still has a history to deal with and so I have come to learn that I must use words and references that quickly identify me as being Jewish. It is very important to me to be identified as Jewish and not German. This generally leads to the next question. 6. How did you survive? Sometimes the question is very casual and if I don't know the person, I just answer, "We were very lucky." Sometimes, however, the question comes out of a genuine interest to understand, as well as a real surprise that some Jews really did survive in Germany without being in concentration camps or in hiding for the duration of the war. When I was asked to speak tonight for Yom Hashoah, about my experience, I said, "Sure." After all, I have spoken to schools as part of Holocaust education programs. My friends certainly know my history. But each and every time the telling is hard and the stomach gets tied into knots. However I know my story is unusual since I have never met anyone else who survived. So here goes. My parents were married in 1930 and neither family was happy with the marriage. My father was Gentile and his family were certainly not pleased. Even though this was before the Nazies were in power, anti-Semitism existed. My mother was Jewish, so her family certainly had their fears about her marrying a non-Jew. Although some of her family was observant, her own parents were assimilated Jews. My grandfather was a Zionist who emigrated to Israel in 1936. His brothers who felt that his fears of the Nazis were exaggerated held the mistaken belief that Jews would be safe in Germany . They all ultimately perished. During the early years of the Hitler regime, my mother told of the difficulties that she as a Jewish woman encountered. She could not go to the movies or out to any public places or events. She was limited to staying in the house and was only able to shop in certain stores that catered to Jewish customers. Most of all, she remembers the fears about her aunts and uncles who were being deported. She always remembered that while she was in the hospital giving birth to me, no one came to visit. When she started to ask questions, she was reassured by the nurses and cautioned not to get herself upset lest it would affect her or her baby. I was born on November 11th, 1938, and Kristallnacht, or the Night of Broken Glass, was November 10th. Jewish homes and storefront windows had been broken and it really signaled the beginning of strong anti-Jewish actions. My grandparents and her brother had emigrated to Israel in 1936, and her sister left for Sweden on one of the last ships out of Germany, in 1937. As I said before, no one else of her family survived. My parents had their conflicts as a result of their mixed marriage. His brothers and mother did not welcome my mother in their homes. Of course my mother's restrictions frustrated my father, and he often pursued some of his own friends and interests, leaving her alone with her children, feeling alone, angry, and scared. My sister, who is seven years older than I, remembers their frequent fights and my mother crying much of the time. After my father entered the military, my mother, sister and I were really left to our own devices. Money was very tight and her restrictions, limitations and fears increased constantly. Kiel, where I was born, was a small town at the end of a canal which connects the Baltic and North Sea. It is a ship and submarine building town in Northern Germany. Mom grew up in Kiel, and according to her, everyone knew her. She recalled being called to the Gestapo for questioning. But since no one had brought any complaints against her, and she had not broken any rules, such as shopping. in non-Jewish stores or going out beyond the curfew, she was released and told to go home. I had the usual bouts of childhood disease and remember my father coming home on furlough. I remember not wanting him to leave and his losing his patience and giving me a severe spanking on the Railroad Station Platform. Parenting in those days was very different than it is today, and my father was a typical German father who believed in spare the rod and spoil the child. My own memories really begin around the time of 1943-1944. As the bombings increased, the children in Germany were being evacuated. My sister had been sent with her school into the safety of the countryside, but her headmistress called saying that she could not stay because the Gestapo was visiting the school and her being Jewish was too dangerous. We were bombed out in 1944, and I was hospitalized with a severe concussion. Here again my mother talked of telling the doctor that we were Jews, and that his response was, "She's a child and I'm a doctor and that's all that matters." After we were released from the hospital we fled into the countryside and found shelter at a farm, but again only for a short while until the farmer realized we were Jews and had to leave. After our return to Kiel, my mother worked in a forced labor camp, a fish factory, but was able to come home at night. At that time one of my father's brothers helped us replace blown out windows in an abandoned apartment where we were able to stay. My father also came home on furlough and helped gather the few remaining pieces of furniture from our bombed out apartment. While my mother worked, my sister took care of me during the day and our lives in many ways were like that of our neighbors. There was no food, no clothing, no water, heat, nor sleep. I only remember wearing what we would call warmup suits all the time. Since the threat of air raids was constant, one never undressed because if the sirens came on, signaling an attack, we had to run to the shelter. The shelter we used had just recently been extended with a new emergency exit and a children's wing at the end near the door. This was to be used specifically for mothers and children. One night a bomb had fallen outside the shelter and people were screaming to get in. When the door was opened, gas from the exploded bomb seeped into the shelter asphyxiating everyone in the children's wing. Since my sister and I had come to the shelter on our own, without mom, we had been told to go the the new children's wing. However, my sister, who whiled away the time making figures out of the clay dirt available at the emergency exit. insisted that we stick to that end of the shelter. She also said that since our mother was used to us being by the emergency exit, that she would look for us there if she was let go from the fish factory. My sister's love of modeling saved our lives in that we all escaped through the emergency exit which had only been completed the week before. I still remember the sea of empty carriages parked before the entrance. Other memories are like all war memories. Fear, bombings, sounds of sirens, burned out buildings and rubble. And running. Running, running, always running, and I remember just not wanting to run anymore. Our skin was covered with scabs and blisters from phosphate bombs. As far as a sense of having a Jewish identity is concerned, I remember that towards the end of the war, my mother was getting dressed and I said to her, "When we win the war..." She stopped and stood absolutely still, held my face in her hands. and said, "If the Germans win the war, we will all perish." That was my first sense of being Jewish and that being Jewish was different and dangerous. As I said before, Kiel was heavily bombed out during the was because it was a ship and submarine building town. Also is was strategically situated at the Baltic end of the canal which links it through Hamburg and then Bremen into the North Sea and of course England, France and the Atlantic Ocean. As a result, it was a primary target and 80% destroyed. I recall at the end of the war that the munitions dump was blown us before the Allied Forces arrived. People crying in the shelter when the announcement came that Germany was defeated and that Hitler was dead. And then the soldiers, American and English coming in with candy, gum, chocolate, stockings, and cigarettes. Slowly, with the aid of the Red Cross and HIAS we were put in touch with my family in Israel and the US, who sent not only mail, but also M&Ms, and care packages with milk, flour, and clothing. After the war, many camp survivors came to Kiel. It was then that we learned first hand of the horrors of Auschwitz, Bergen Belsen, and other camps. They were emaciated and needed help and time to heal and recover. HIAS, and the American Jewish Joint Distribution Committee was involved in helping. From them I also learned for the first time about Jewish things such as food, language and holidays, because of course there was none of that during the war whatsoever. My father, who had been captured by the Russians and been a prisoner of war in Siberia, returned to Kiel in 1949. I had yearned for his return and had the fantasy that now that the war was over and he was home, all would be well. That was not the way it turned out. My parents had grown apart and divorced in 1951. My mother, sister, and I emigrated to the US through the Displaced Persons Quota in 1951. My first memory of the US was arriving in New York harbor early on a June morning and seeing the Statue of Liberty. A ferry came by and my thoughts were that I wanted to be just like those people on that ferry. We were meant to go to Cincinnati but my aunt agreed to be responsible for us to keep us here in New York. I entered school in the 7th grade, and learned English from a girl who spoke Yiddish, and therefore understood German. She translated whole sentences for me, and I repeated what she said. I also learned, as I said at the beginning, that America and particularly the Jewish community was understandably afraid, angry, and rejecting of anything German. I had been the "Dirty Jew" in Germany and suddenly found myself in danger of being identified as German in New York. Growing up without any knowledge or training in things Jewish, still leaves a void in me. It's a lack of history, without memories of holidays, family, and tradition. They simply aren't there. There is also a sense of guilt which many survivors struggle with. I know we were meant to be on the next transport when the war ended. But fortunately the war ended before that happened. The struggle to accept the Gentile part of my heritage is still ongoing. I know that according to Jewish Law I am a Jew because my mother is Jewish, but I also know that many in the Jewish community do not trust the Germans. I share that distrust. However I am a little of both, and that isn't always easy. So, there is no clear answer as to how I survived. Perhaps it was because I am a mischling, a designation made up by the Germans to describe a child of a mixed marriage. Or because my father was in the military and did not divorce my mother, or perhaps as my mother said, "The laws were carried out by people and not all people are evil. I only know that I survived, and I have come to be okay with that. I had wanted to marry someone who was a full fledged Yankee with a large family. Instead, I married a wonderful man who is also a German Jew, who came to New York with his mother before the war. While we have different memories, there is a common thread that I think helps us understand one another in a profound kind of way. We have two daughters, one of whom married a non-Jew, but all of our grandchildren were raised and identify as Jews, and that is very important to us. I only wish them a world that is different than the one I grew up in. I wish them peace and freedom from persecution. Screening "When Comedy Went to School"
Why are there so many Jewish comedians? When Comedy Went to School answers this question with an entertaining portrait of this country's greatest generation of comics—the generation that includes the likes of Jerry Lewis, Sid Caesar, Jackie Mason, Mort Sahl, and Jerry Stiller, all of whom make appearances in the film, telling jokes and telling their stories. The answer is also found in upstate New York's Catskill Mountains, aka the Borscht Belt, where Jewish immigrants transformed lush farmland into the 20th century's largest resort complex. Those Catskill hotels and bungalow colonies provided the setting for a remarkable group of young comedians to hone their craft and become worldwide legends. It was truly When Comedy Went to School. Please join us on Saturday evening, June 20th at 7:00 PM, when we welcome writer/producer Larry Richards, who will show and discuss his documentary about Jewish comedians who came from the Borscht Belt, and about the culture of the Borscht Belt that nurtured them. When Comedy Went to School has been shown at the Jewish History Museum and many other venues. $10 suggested donation. Light refreshments. Open to the public. The most trusted man in America. The reality of Jon Stewart’s February 10 announcement that after 17 years he would be leaving as host of The Daily Show on the Comedy Central cable network did not quite hit home until the March 30 announcement that his successor would be South African comedian Trevor Noah. Noah, who has some Jewish ancestry, in turn was quickly the subject of controversy surrounding some offensive tweets he made in the past, tweets that some consider anti-Semitic, not to mention misogynistic, and perhaps worst of all, simply not at all funny. 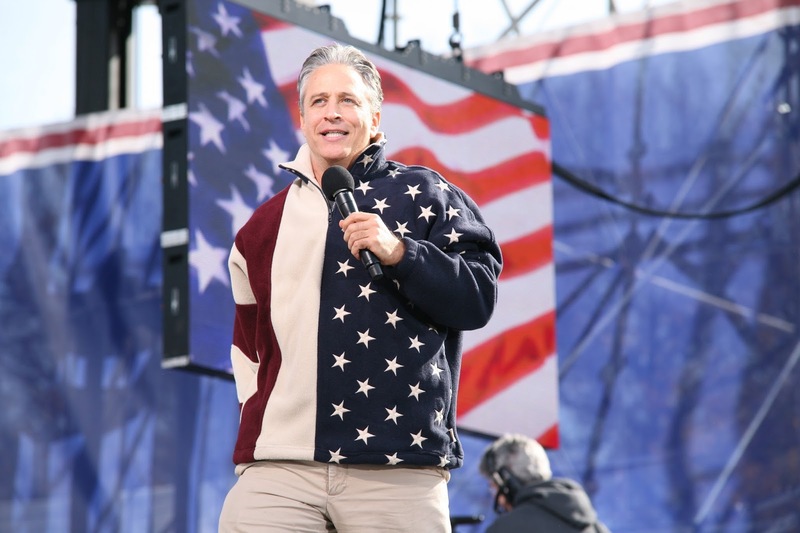 But more significant is the fact that Jon Stewart’s replacement is, for all intents and purposes, a nobody. A Noah-body. And this should come as no surprise, despite all the speculation about who might succeed him, with suggestions as varied as Daily Show alumni such as John Oliver, Larry Wilmore, and John Hodgman, and comics Amy Schumer, Chris Rock, Amy Poehler, Tina Fey, her former co-star Alec Baldwin, and even MSNBC political commentator Rachel Maddow and disgraced NBC news anchor Brian Williams. 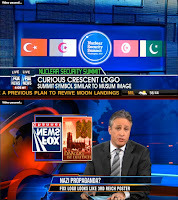 The simple truth is that Jon Stewart would be a hard act to follow. Close to impossible, really, no matter how big the name and reputation. No established star in his or her right mind would risk the inevitable judgments about having failed to live up to Stewart’s legacy, so the only alternative was to find someone with nothing to lose to serve as the sacrificial lamb. Only time will tell whether Noah will be able to survive the flood of comparisons that surely will come his way. But the big question is how did a nice Jewish boy, born in New York City and raised in Lawrenceville, New Jersey, grow up to become the most trusted man in America? 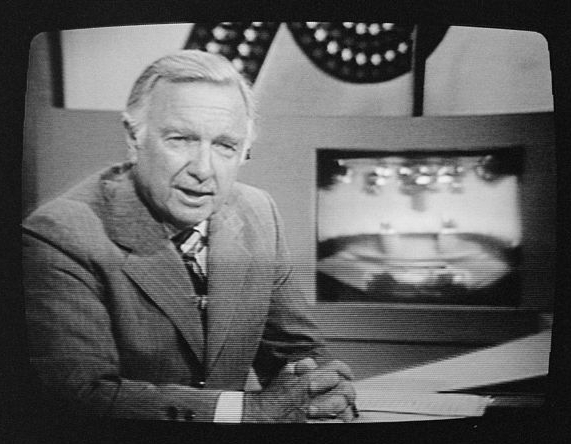 “The most trusted man in America” is a citation that previously was bestowed upon the longtime CBS Evening News anchor Walter Cronkite. 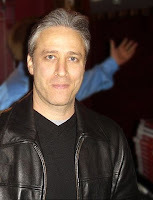 That Jon Stewart seems to have inherited the title would no doubt strike the comedian, born Jon Stewart Leibowitz, as both an honor and a disturbing commentary on the state of journalism today. It is consistent with Neil Postman’s observation, three decades ago, that the television medium requires entertaining content, and that journalists on television news shows cannot help but become entertainers. By the 1990s, it became a commonplace to note that most young people got their news from the late night monologues of Jay Leno and David Letterman. What set Jon Stewart apart from Leno, Letterman, and other talk show hosts, including his predecessor on the Daily Show, Craig Kilborn, was the depth of Stewart’s humor, his intelligence, and the incisiveness of his critique of the news media, and the subjects they report on, especially politics. If the fourth estate is supposed to fulfill the function of the watchdogs of society, Stewart provided the answer to the question of who watches the watchmen, and he has done so with dogged determination. To be sure, on the conservative side of the political spectrum, Stewart is not quite as well trusted as he is among liberal viewers. His political leanings are well known. As much as he has tried to be fair and balanced in his skewering of politicians and the media personalities who cover and comment on them, he could not help but direct a significant portion of ire and irony at Fox News, whose often blatant attempts at propaganda have made it all too easy a target. No doubt, given our current political polarization, we would be hard pressed to name someone who is equally trusted by those on the left and the right of the political spectrum, so it is enough to say that Stewart has gained the confidence of America’s moderates and centrists. And we also might recall that Cronkite was denounced as too liberal in his day, especially after coming out against the Vietnam War in 1968. Whether he actually runs for office, in a serious campaign along the lines of the one run by United States Senator Al Franken, a Saturday Night Live alumnus, or as a form of satire, as Colbert did, remains to be seen. 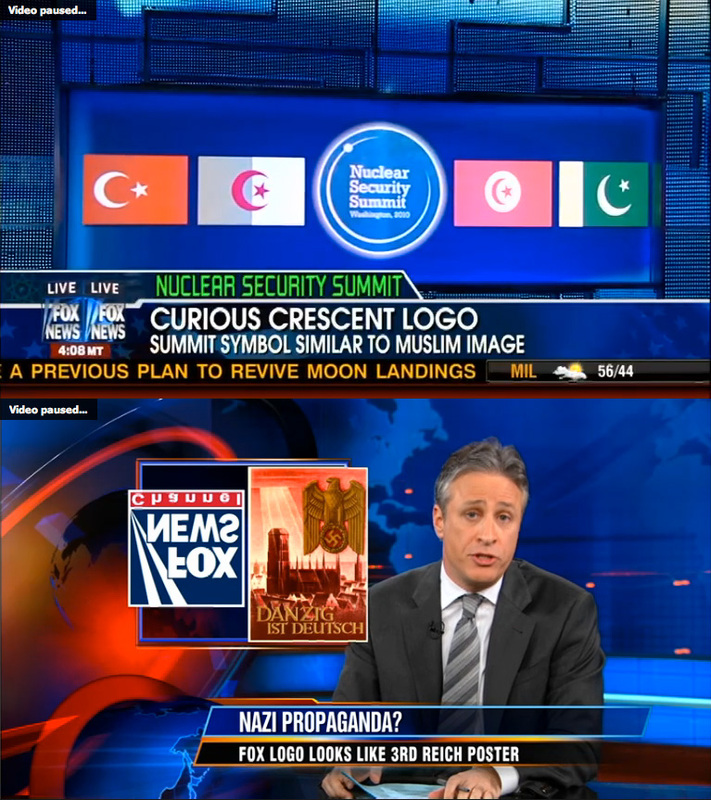 But what is quite clear is that Jon Stewart was able to transform the Daily Show from just another low budget television vehicle for sophomoric humor into a significant source of news and opinion, commentary and criticism, and entertainment and education, and in doing so, transform himself from just another comedian to a worthy successor to the man who took us from John F. Kennedy’s assassination to the moon and beyond. And is there any doubt that the secret to Jon Stewart’s success is the fact that his humor has been built on a foundation and rooted in a tradition of social justice, ethical conduct, and compassion for our fellow human beings? His values, the values of his upbringing, shine through his 17 years on The Daily Show. They make clear the fact that he is much more than a comedian—that he is nothing less than a mensch. 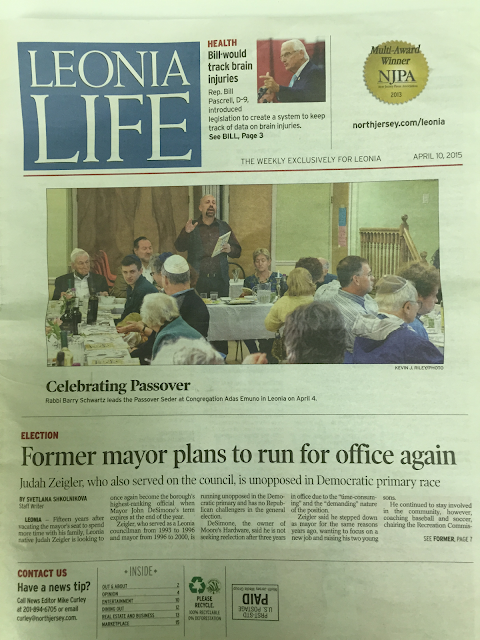 The Congregational Seder, led by Rabbi Barry Schwartz, was held on the second night of Passover. And judging by the fact that our social hall was filled to capacity, and by the enthusiastic reception on the part of those in attendance, it was a smashing success! Kudos to Ritual Committee Chair Virginia Gitter for initiating and organizing the communal celebration of our season of rebirth and freedom! Another slice of life here in Bergen County! The photographs were taken during the second performance of the spiel, on the eve of Purim, Wednesday evening, March 4th. The first performance was on the morning of Sunday, March 1st, for the benefit of our Religious School, and with the aid of our Junior Choir, led by Cantor Sandy Horowitz. 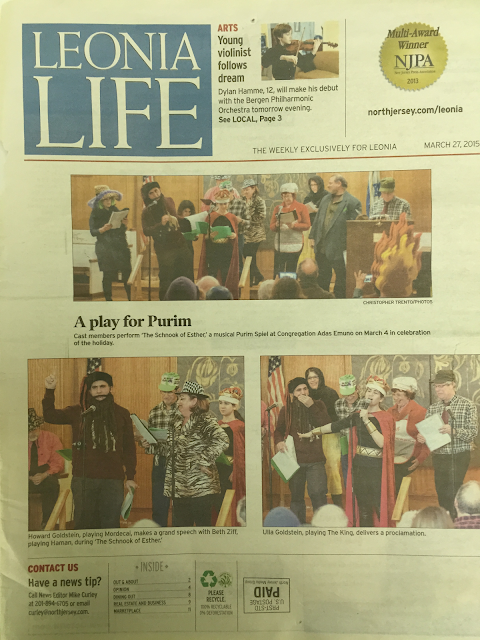 The spiel was preceded by a Purim service and Megillah reading led by Rabbi Barry Schwartz. This year's spiel, entitled The Schnook of Esther, was written by Adas Emuno President, Lance Strate, and directed by the congregation's Vice-President, Elka Oliver, together with our Past President, Virginia Gitter. And that is, after all, life in our little part of Bergen County. Volunteers from our synagogue teamed up with the Methodist Church in Leonia to assist the United Presbyterian Church of Lyndhurst, in hosting homeless families. The church in Lyndhurst hosted for one week and we took over for one of those nights, cooking and serving dinner and staying overnight. A great big THANK YOU to Jody, Lauren, Lisa, Jerome, Carol, Claudine and Rachel, who fought rush hour and construction traffic, cooked for this venue as well as for their own families, picked up and delivered for and from each other, rushed around following work and yet, were so gracious and helpful at the church, were complimented by church volunteers (as was the dinner!). To Lauren, who stayed overnight with me, well, you're a great roommate! Thanks for staying. By the way, you all did such a great job, we were asked to help out again... too soon?? The program held for the Adler Aphasia Center was a wonderful success regarding the money raised for their scholarship program and for the knowledge and awareness the twelve or so attendees came away with. Robin Strauss, Education and Outreach Coordinator, who presided over the morning's program, more than once told me how very "generous" the people there were and how their questions and comments during the informative segment of the presentation were insightful and meaningful. In fact, Chrysa Golashesky, Program Director of "Something Special", the division of the center where the items we bought are made by members, called me to reiterate Robin's words. Thank you to Richard for getting the word out for this program via cable and to Virginia for doing so through the newspapers. A special thanks to Marilyn, who set up, cleaned up, baked for the breakfast, and never stopped offering to "do more" and to Lauren and Virginia for support and help. 1) When Jill Noorily and Steven Chartoff, two religious school student aides, offered to help us set up before school started. Toda raba!! New collection: May 1 through June 5, we will be collecting GENTLY WORN spring/summer clothing, baby sizes through adult sizes. These will be donated to various organizations. Please DO NOT INCLUDE AUTUMN/WINTER GARMENTS. We do not have room to store them and they will be tossed.